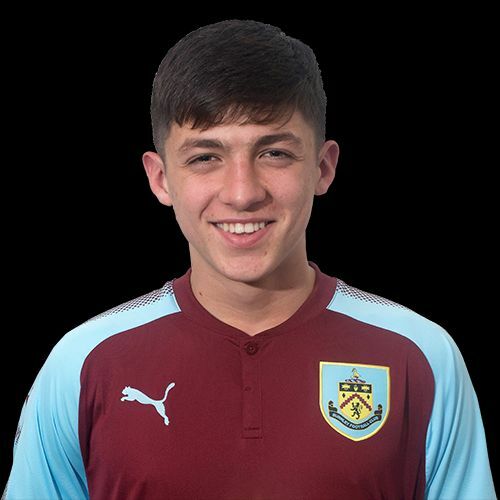 Last Saturday’s ten games in the U18 Professional Development League brought over forty goals but it was another difficult day for the young Clarets who suffered a fourth successive defeat, this time with a 5-1 loss at Crewe. A week earlier we’d been beaten 4-0 at home by Huddersfield who went top on the back of that result. They scored another four but this time it wasn’t enough; they were beaten 5-4 by Bolton and that enabled Bolton and Leeds, who also hit five, to move above Hull, beaten by Birmingham, and Sheffield United, without a game, into second and third places. It really is a tight league. Our latest defeat, in which Bobby Thomas (pictured) scored his first goal for us, saw us drop to eighth in the eleven team league, but so close is it, a win would have seen us go joint top and with a game in hand. A week ago, the gap between top and bottom in the north group was eight points, but, with bottom of the league Sheffield Wednesday winning at Nottingham Forest, that gap has now reduced to just five points. That’s in sharp contrast to the south group where leaders Crystal Palace beat Ipswich and they now have a 24 point advantage over Coventry at the bottom who are still to win their first point of the season. This coming weekend sees the north’s top two come face to face with Huddersfield the home team against Leeds in a local derby. Leeds are one of five teams just a point behind Huddersfield. Of those Bolton are at home to Sheffield Wednesday, Hull are without a game and Sheffield United travel to Gawthorpe to take on the Clarets who will be looking to put this difficult run behind them.